Okay, she’s at it again. For some reason Gemma Doyle can’t seem to keep herself out of my homicide investigations. Actually, I know the reason. Because she has the sharpest memory of anyone I’ve ever met (unless she’s been asked to walk the dog or make dinner reservations) and insights into people’s behavior so uncanny I can’t begin to understand them. She would never admit it, but I suspect she thinks, like Sherlock Holmes, “I shall be my own police” (The Five Orange Pips). In her opinion, the police don’t move fast enough. I’ll admit I appreciate (sometimes) her help, but this time she’s gone too far. When that British actor, Sir Nigel Bellingham, was murdered at the afternoon tea fundraiser Mrs. Hudson’s Tea Room was catering, Gemma just happened to be the person who discovered the body. I strongly suspect, but can’t prove, that she interfered in the scene before the police arrived. 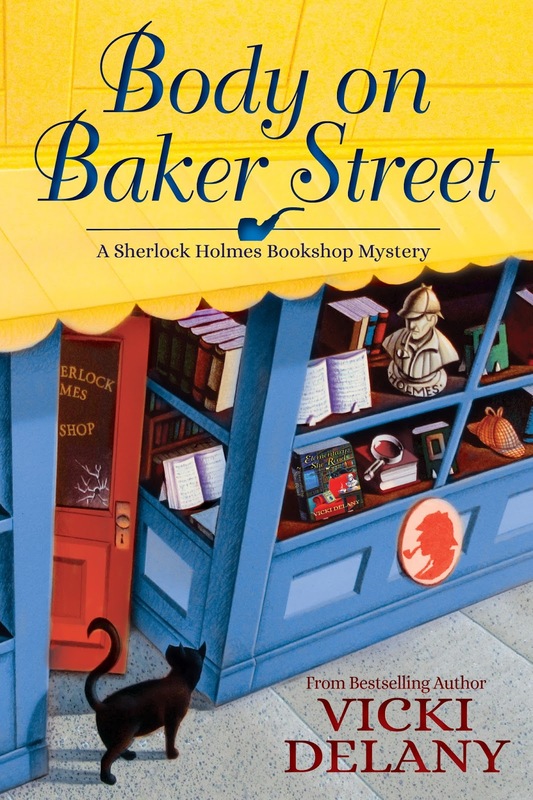 Gemma might own the Sherlock Holmes Bookshop and Emporium here in West London, Massachusetts, but she isn’t really Sherlock Holmes. 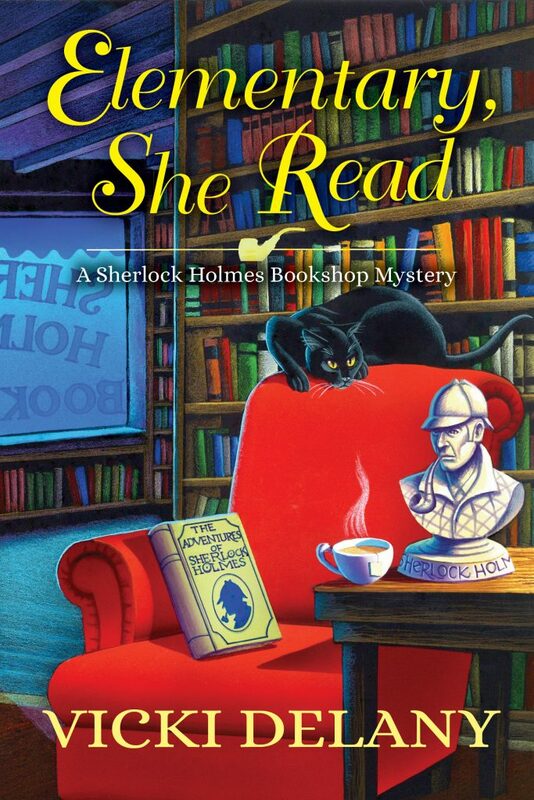 I can only hope my partner, Detective Louise Estrada doesn’t find out what Gemma has been up to this time. If she does you’ll be able to hear her yelling for my head in Boston. Again! 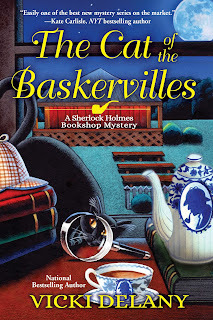 The Cat of the Baskervilles, the third Sherlock Holmes Bookshop mystery by Vicki Delany, is now available. Have it on my TBR list and can't wait for the opportunity to read it!